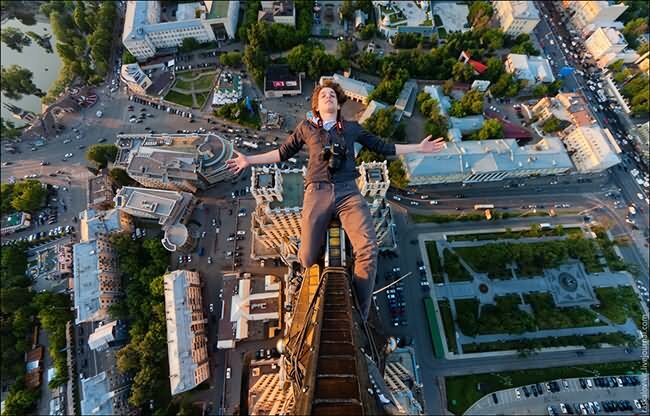 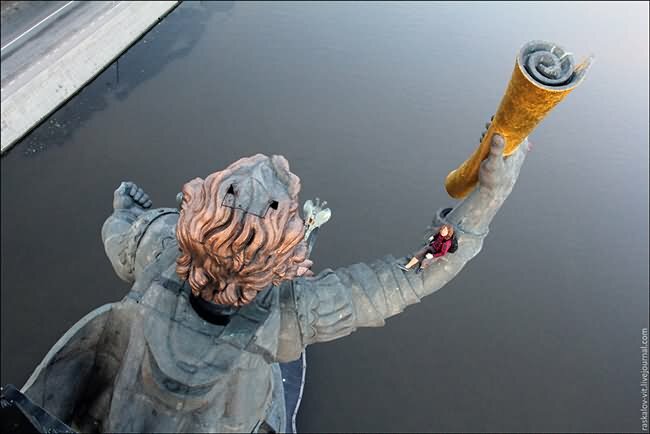 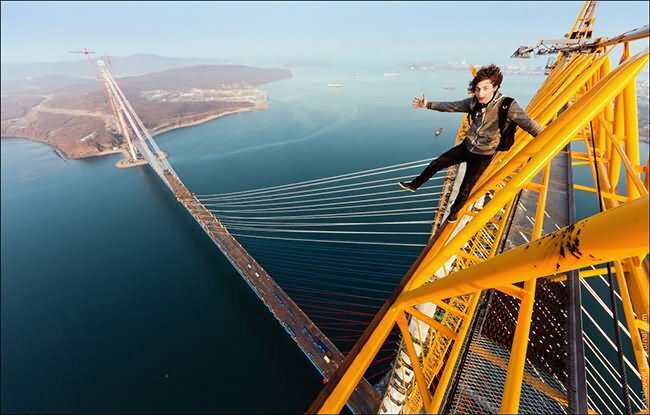 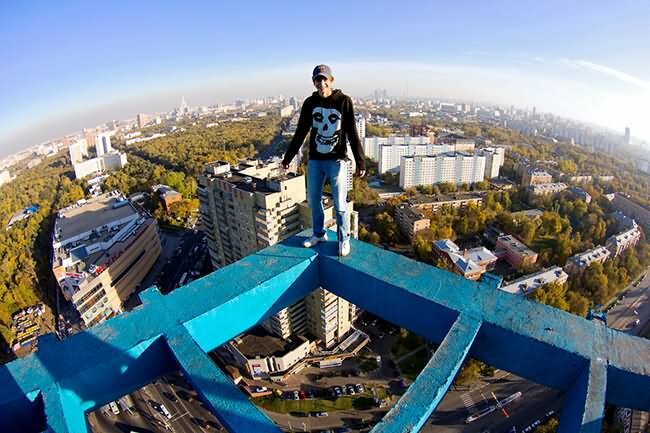 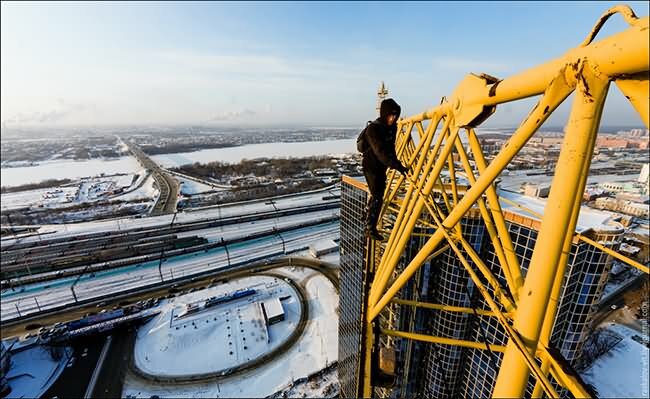 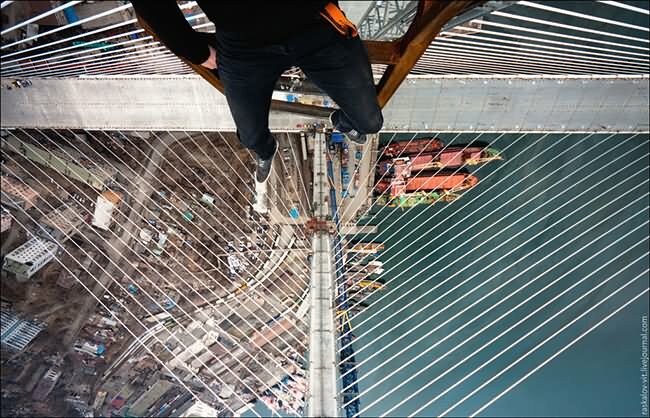 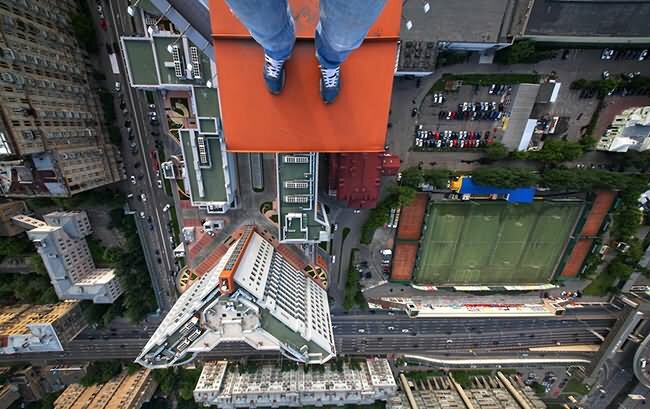 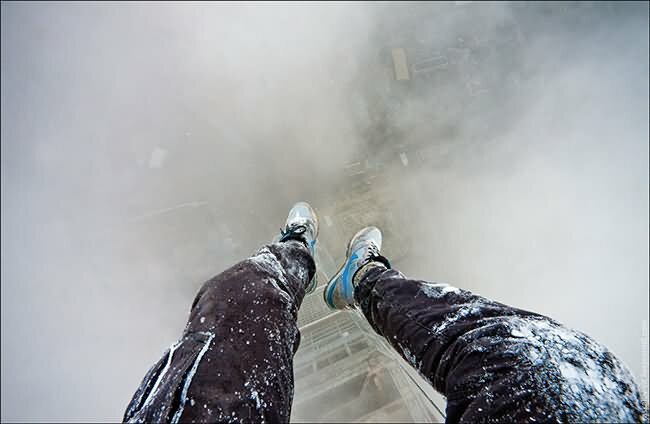 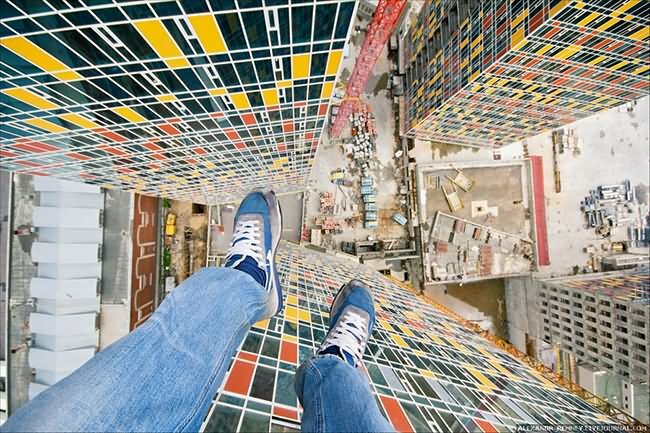 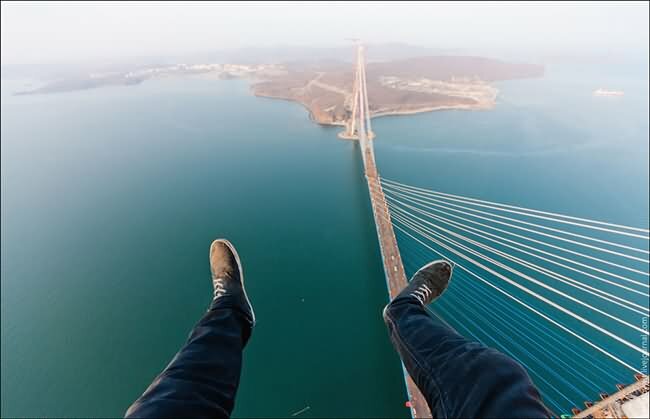 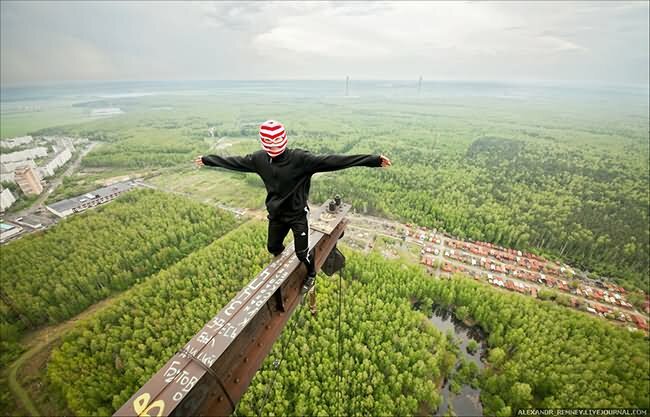 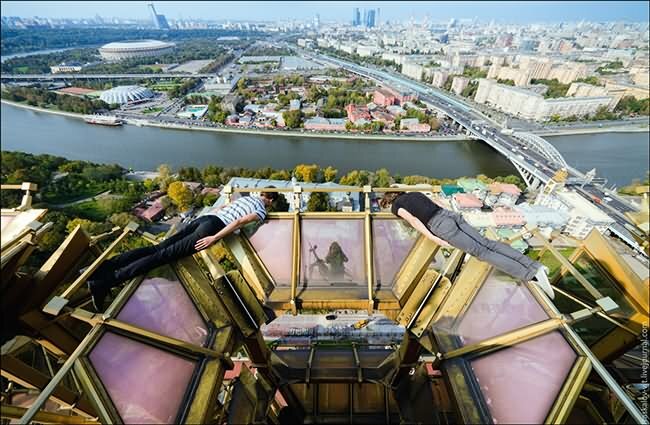 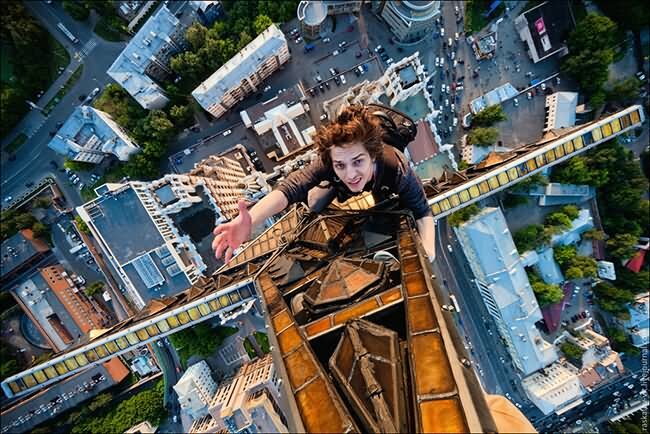 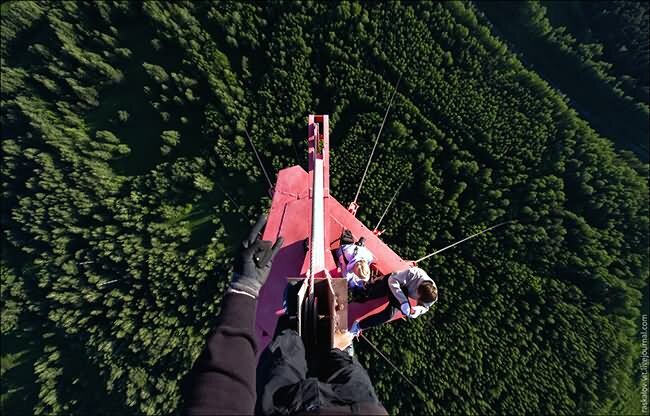 Some people get a thrill by riding on a roller coaster or driving a fast car, but some others like Russian thrill-seeking photographers Vitaly Raskalov and Alexander Remnov get their thrill by skywalking, which consists of scaling tall structures without safety equipment and uploading pictures to social media sites. 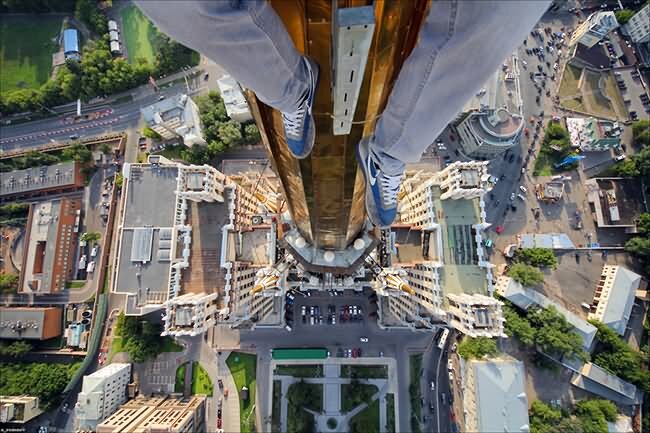 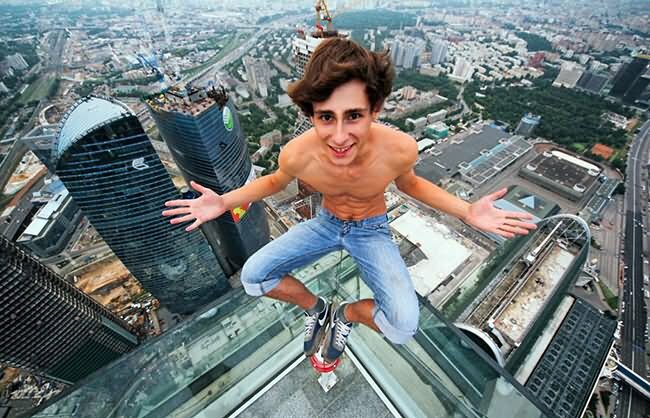 This sort of high-risk feat appears to be a popular trend amongst Russian youths today. 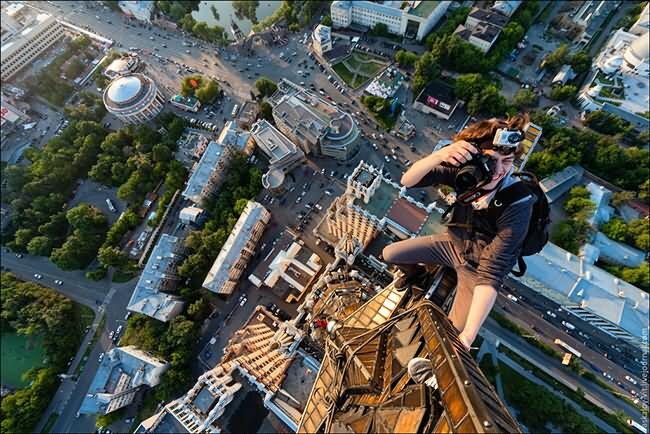 On the internet, we're all really blown away and grateful for the exciting images that result from their laborious and dangerous efforts. 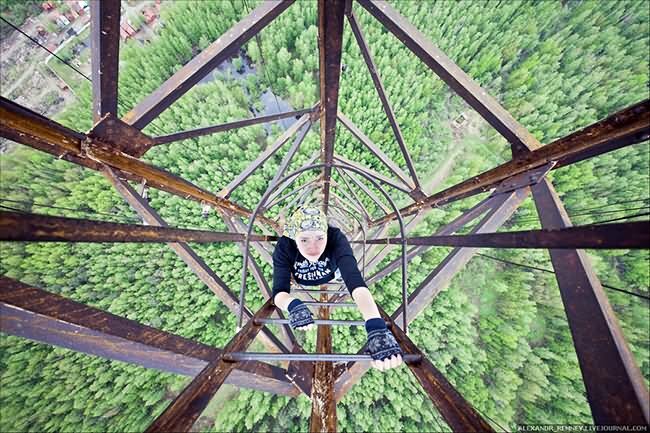 Beautiful, but don't take this as an encouragement!